The teacher „Sambela“ is an experienced samba dancer and choreographer who is dancing Samba since over 17 years and supporting different groups in Europe. 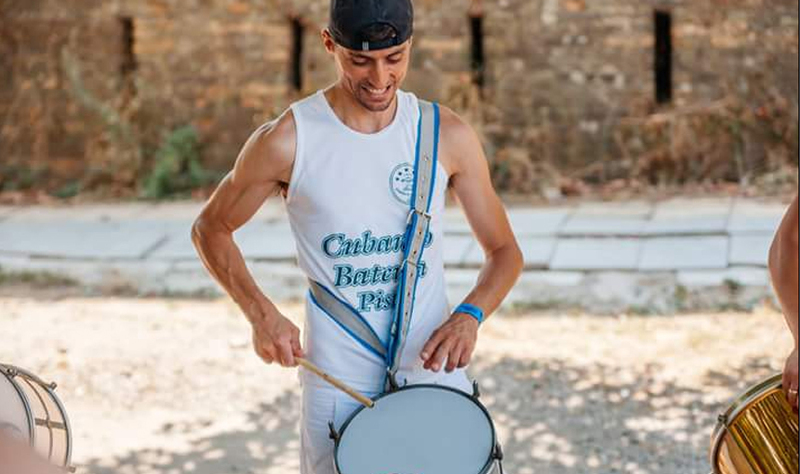 Suggestion for Passistas: Start to play an instrument and your style of dance will change, because when you understand the breaks and what the Samba means for the musicians you will feel more close to the Bateria and dance with more joy and energy! Her philosophy: "Samba brings people together"
From her more than 20 years of dance experience, 15 years are dedicated to Samba. During this time she participated on different festivals in Europe and danced with famous groups like: Paraiso School of Samba (London), Misto Quente (Paris), Querschläger(Paderborn), Flor Carioca (Nantes), Bloco X, Sapucaiu no Samba (Berlin), Bloco de Paris (Paris), Mega Bateria (Sesimbra) and lot more. In 2011 she has been estabilishing her own samba dance group “Sambelas”, later in 2014 the community “Passistas sem Fronteiras”. She is a choreographer and her samba-choerographies are influenced by different dances that she learned in her life. She is also designing and sewing her own costumes, giving samba workshops and supporting other groups with creative ideas. She plays all intruments of a samba bateria, especially repinique and chochalho, what makes her able for fully integration with the samba bateria during the dance. For her Samba means passion, joy and happiness and let her forget everything around, when she is catched by the energy and magic of Samba. Dancing course will help the participants to learn the original Samba of the Samba schools and streets of Rio de Janeiro. The course is for beginners, but intermediate dancers will also find what their hearts desire. The class is focused on the first steps of Samba, rhythm, feeling of movement and dancing expression. Stage presence and perception of the room will get special attention. 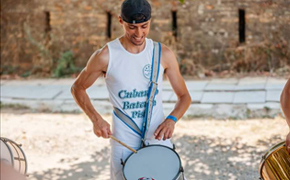 Samba percussion workshops will traditionally take place at Petrovaradin fortress. Samba percussion workshops for friends of Dani Brazila will lead mestre Markus Jeger. 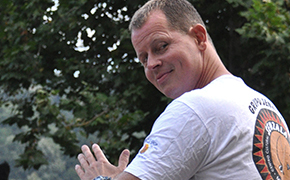 He started playing samba in the year 1996 and graduated a studies in afro-cuban and -brazilian percussion in Netherlands. Marcus's way of playing is diverse and versatile so that, thanks to his musical skills he preformed with schools likeMocidade, Estacio, Cubango, Tijuca, Grande Rio, Portela. He is part of the school “Unidos de Hamburgo”, and since this year he is holding the title of mestre Caçador. Marcus is the head of the repinique section of Bloco X. He also holds a black belt in Tae Kwon Do. By education is a graduate professor of physical education and physical therapist. A decade after the opening of the school of capoeira in Copenhagen he comes to Serbia, bringing this skill to our region. Capoeira Senzala clubs from Novi Sad and Belgrade are functioning under his supervision within the group Centro Cultural Senzala de Capoeira.